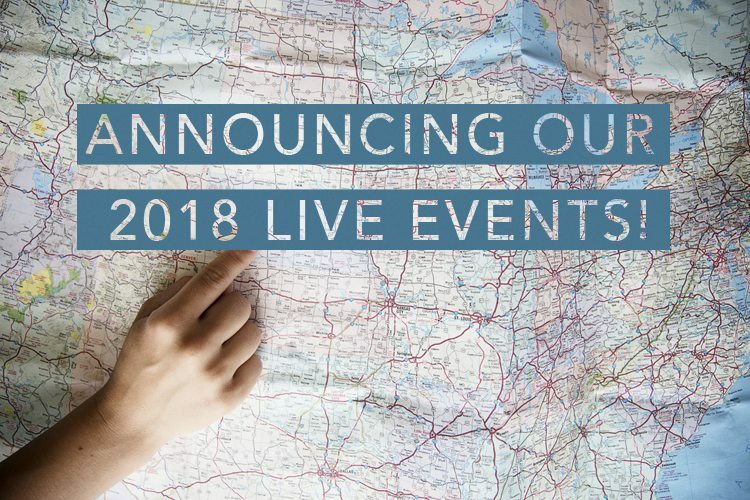 Linda David, President for Mid-Valley Women of Christ has given us a full line up of exciting events for women in 2018! 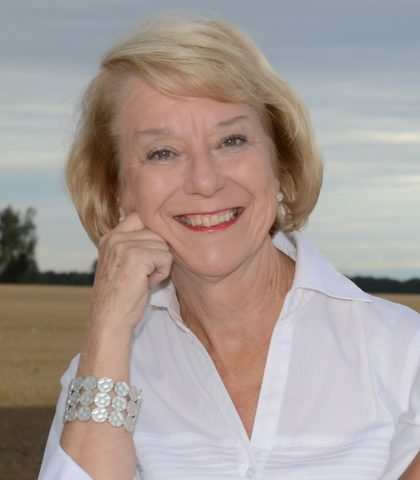 She’s encouraging you to get out and join other Oregon women. 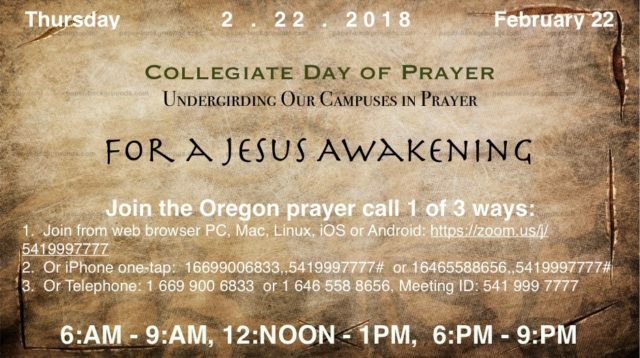 Let’s join in praying that each of these events will produce great eternal fruit. Sponsored by IF: International Jennie Allen. We celebrated with Donald Foery! Praying over Wendell, the Legislative Friend at the Capitol in Salem. 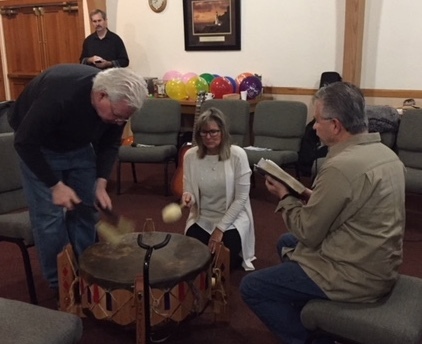 Reed, Kathy and Jim from Central Oregon Prayer Team, teaching us to make our unique sounds. 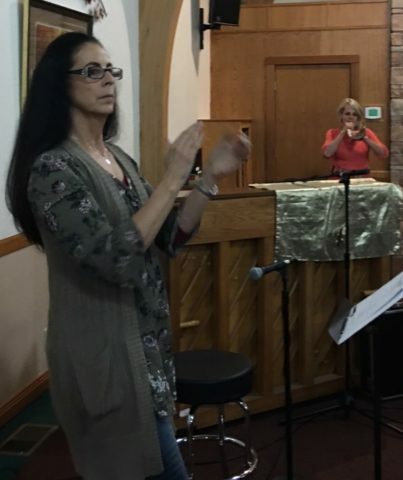 Pamela clapping and declaring God’s goodness! Making a wish, and so thankful to God for his family of God. 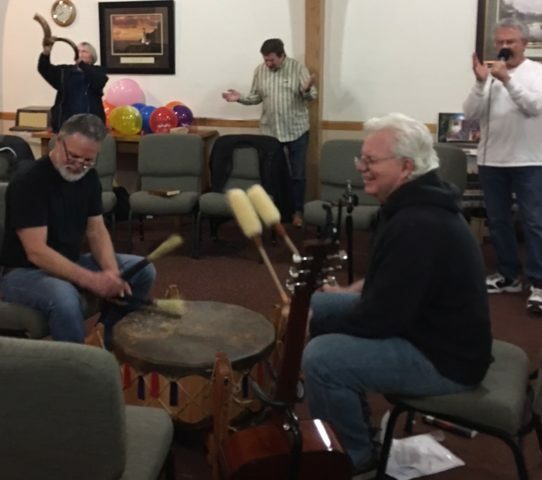 Reed, Kirk and Jim from Central Oregon Prayer Team teaching the Sound Workshop. Grace & Miriam – making sounds of prayer. Last night I woke up at 2 with the heaviest grief of the sense of darkness, because of the encroachment of the enemy, through the media and entertainment and education industries, that have stolen the hearts, minds and eyes of the people. I see it first hand in the lives of my own sons and daughters and family members. I see it in the church. I see it in my own home and life. I began to repent, and crying out for deliverance. For Christ. For revelation. As all of you have. We have all had this same knowledge of darkness and grief and labor of intercession. Travail. 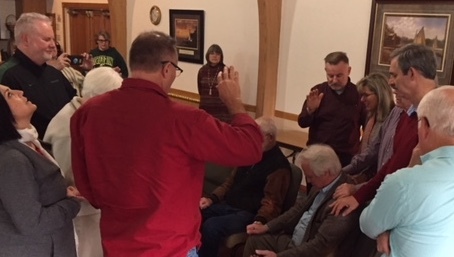 That is what happened Sunday at the Central Oregon Prayer Team meeting, when Jim Donahue began to share the scriptures of Christ’s burden to intercede. Ezekiel 9:4-11, Jeremiah 9:1, Jeremiah 13, and 14:17, Psalm 118:36, Revelations7:2&3. As he began to share them he came under attack from the enemy in his chest, and his face turned a grey ashen color. We had to stop intercession and pray over him until he was free. Then deep weeping and travail began. I believe it was a sign of the beginning of birth pains for this season. And intercession of Christs’ heart for now. For the people sitting in deep darkness. I went back to sleep around 4. I woke again at 6. The first thing God spoke to me is what I know will confirm what The Holy Spirit has been speaking to you. P.S. I can’t help but think how much more He must be showing all of you, who know much more in The Spirit than I do; being just a retired schoolteacher, who has not spent enough time yet in His Presence. So I’m hoping this opens a dialogue between all of us about His light breaking in more each day. 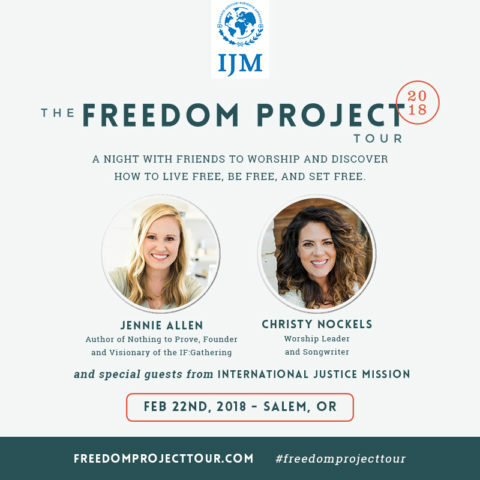 Editor’s note: After the first time I heard Greg Simas speak on the Ekklesia, I walked out the room stunned, and my husband turned to me and exclaimed, “man, he sure baked my noodle!” What followed in our hearts was a whirlwind of renewed hope, joy, and inspiration of what we’ve come to believe “can be” instead of bewilderment of what “has been” in the Ekklesia. 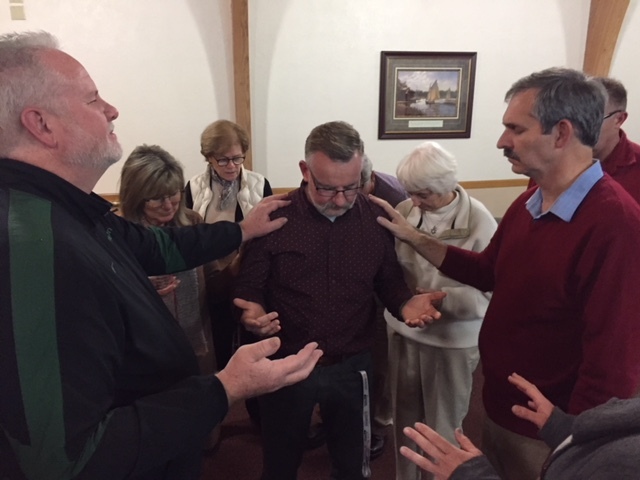 Greg Simas is the Founder and Senior Leader of Convergence House of Prayer in Fremont, California, and he came to share with us his discoveries on the Ekklesia at the recent Connector’s Meeting in Turner, Oregon. Below is an article worthy of attention. Warning, it is weighty, so don’t rush through it. Let it sink in, and I’m sure you’ll find hope and relief as well. At the birth of Jesus, there were three major institutions: the Temple, the Synagogue, and the Ekklesia. We are familiar with the Temple and aware of the Synagogue, but we know virtually nothing about the Ekklesia, and yet the Ekklesia is the redemptive agency Jesus assigns to us to carry on His mission to disciple nations. The Temple goes as far back as Solomon and is traced through the Old Testament as the place where God’s presence dwelt and sacrifices were offered. The origins of the Synagogue are obscure, but most would agree that they started springing up around 300 BC as places within cities to maintain Jewish community, teachings, and traditions. The Law was read, prayer and worship were offered, and Jewish people connected relationally in synagogues. While there was one temple, centered in Jerusalem, there were hundreds of synagogues scattered throughout the Roman Empire. We read that Jesus and the Apostle Paul ministered in both the temple area and these synagogues. So why didn’t Jesus choose either of these to build His “church”? Why would he choose the Ekklesia over the holy, presence-centered Temple and/or the synagogues which were well-established in practice and present throughout the Roman world? The third major institution was the Ekklesia. The Ekklesia dates back to about 400 BC when the empire was ruled by the Greeks. The Greek Ekklesia was established in every city as an assembly that governed and legislated. Ekklesiaes were made up of people who were duly convened to create and expand the Greek culture within the empire. When Rome conquered the Greek Empire, they adopted the Ekklesia and expanded its power and influence. These Ekklesiae also became vehicles for cultural colonization of newly acquired territories. Roman Ekklesiae were deputized by the Roman Emperor for his will to be done where the Ekklesiae were to be sent. “The Ekklesia was understood to mean both the institution and the system by which territories were governed by selected local leaders who had been infused with the culture and customs of Rome to rule on its behalf” — Ed Silvoso. Why then did Jesus choose the Ekklesia? Jesus could have established the temple as the place where His glory would be released and/or could have stated that He would build a worldwide network of synagogues for every tribe and tongue, but He didn’t. The temple/synagogue functioned in buildings that members had to go to on specialized occasions, whereas the Ekklesia was mobile, operating 24/7 in the seven mountains (spheres of culture) of a city for the purpose of busting down the Gates of Hades and destroying the works of the devil, transforming people, cities, and nations. Moreover, Jesus viewed the Ekklesia as an assembly of his people who had become members through conversion. He established that if even only two or three gathered in his name, the government of God was present! By selecting the Ekklesia instead of the temple/synagogue, Jesus chose a structure better suited to succeed not just in religious Israel, but also in pagan societies. His ultimate goal was not to expand religious institutions, but to penetrate the Gates of Hades by inserting the leaven of His Kingdom into their culture through His Ekklesia. It’s important to note that within Christ’s Ekklesia he keeps key elements of both the Temple and the Synagogue. Jesus carries over the indwelling presence, prayer and the worship of God from the Temple and the scriptures and fellowship from the Synagogue. Also, it’s worth noting that in the Gospels, Jesus did not speak much about how to build a church, or plant churches, because he had the Ekklesia in mind from the foundations of the world. Just reread the gospels through an Ekklesia paradigm, and you will see that Jesus lived an Ekklesia lifestyle. His ministry flowed out from is identity as the Ekklesia. He left the Kingdom of Heaven to bring His Kingdom to Earth. He destroyed the works of the devil, making wrong things right from Heaven’s perspective. He legislated, administrated, and demonstrated the Kingdom of God through prayer, signs, wonders, deliverance, and miracle-working power. He did not confine himself to certain structures. He was in homes, businesses, synagogues, the temple, and on the streets. He talked to Jews, Romans, Pharisees, tax collectors, prostitutes, the forgotten, the broken, the rich, and the poor. His influence far exceeded the religious culture in touching every realm of society. He served and loved others while being fully anointed by the Holy Spirit. He wasn’t institutionalized but revolutionized everyplace he went. He was salt. He was light. He was yeast. He was a reformer. The Son of God. The Christ. Jesus is the eternal Son of God who lived as the Ekklesia, as His redemptive agency, legislating heaven to earth, and He is calling us to do the same. Jesus does not want us to “settle” for just “doing church” but to be His Ekklesia, His called-out ones, who legislate heaven to earth, bringing His Kingdom everywhere. It’s Mobile – Where two or three are gathered, anywhere! It’s Cultural – It impacts every part of society. It’s Normal – It functioned as a lifestyle not an event. A normal part of life. It’s Influential – As yeast influences the dough, so the Ekklesia influences culture. It’s Relational – People-centered, not building-centered. It’s Responsible – Everyone has an assignment. No consumers. It’s Reproducible – Paul can be in Philippi one week and leave an Ekklesia there. Ekklesias reproduce quickly. 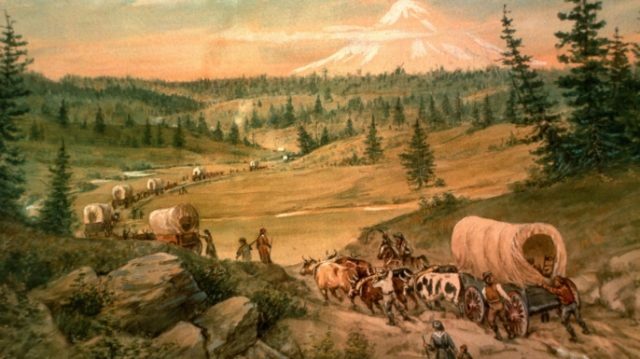 It’s Reformational – Changed lives, changed families, changed cities. It’s Moral – Kingdom moral-code was the glue that held it all together. 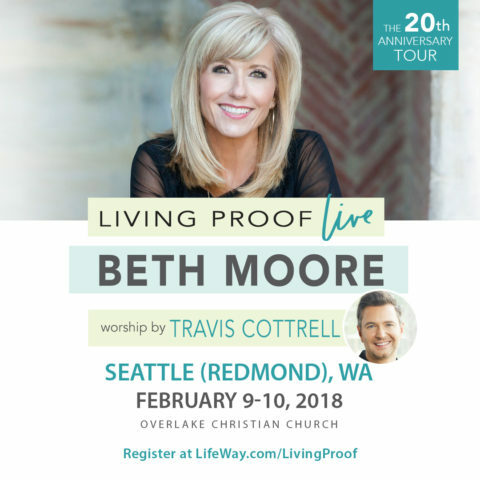 It’s Governmental – Legislating and administrating through prayer, power, service, and love. It’s Unstoppable – Turning whole cities upside down for God’s glory. We are left with a choice, do we continue to “do church” as usual or do step into the fullness of becoming the Ekklesia? It’s our choice. Subscribe to updates from Pastor Greg Simas and view additional teachings, as well as order resources on his website. Sound As Worship – Let The Heavens Declare On Earth! 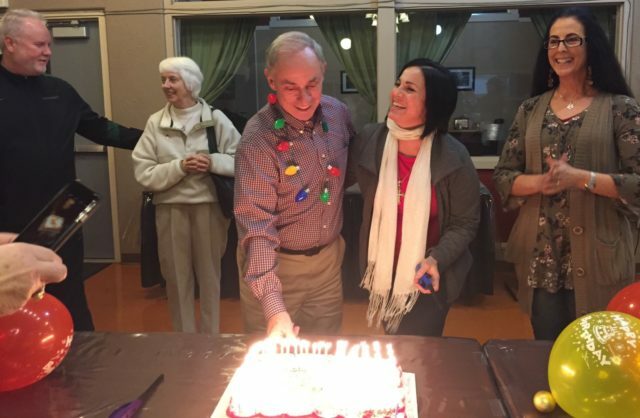 Mark Zimel – Ontario Prayer Connector, Meridian, ID Recently, while driving home, I came upon a license plate on a truck ahead of me which read….”What If”…This reignited my thoughts taken from the recent Pray Oregon Retreat I attended with a couple dozen people at Aldersgate Retreat Center in Salem December 1 – 2, 2017. 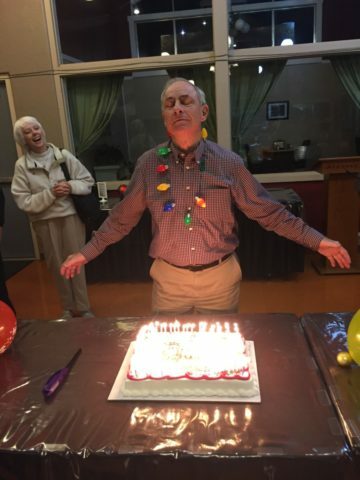 After 61 years of life, coming to Christ when I was 25, getting involved as Coordinator of Men’s Ministries at First Baptist Church in Portland when I was 42, and experiencing a divorce after 28 years of marriage at 50, “What if” has always lead to some new adventures. Some more delightful than others, some met more fearfully than others but adventures nonetheless. All of these adventures had one thing in common. I walked through them knowing God was by my side. Just for the record, I wasn’t always seeking His Word as usual, as some of the times I was “tipped over”, no, “stunned” that things turned out like they had. So this license plate’s “What if” harkened my spirit of the days I felt more in tune with my walk with my Lord. The “What if” that touched my spirit at the conference had me asking What if…. I have experienced a Christianity that is not the current or full expression of Christianity my Lord has planned for me…I sense I may have fallen into patterns that have dulled my spirit and the direction my Lord has selected for me. Am I hearing Him? Am I seeking God’s purposes and teachings He Has set out for me? 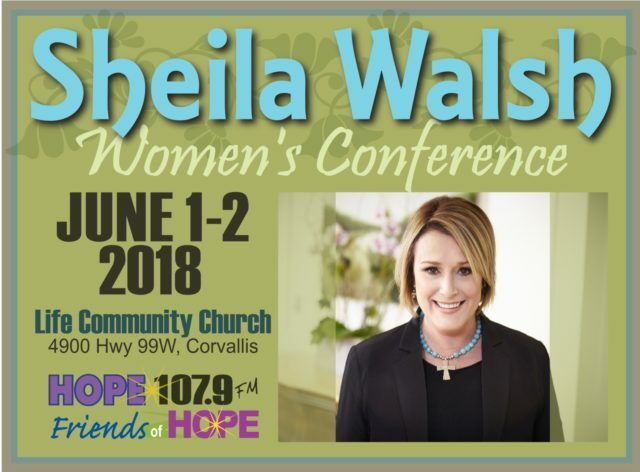 “What if”… after 35 some years of seeking Him and Him seeking me, He has thrown me, no, all of us into a new season of worship and ways to both “Follow” and “War” for Him? 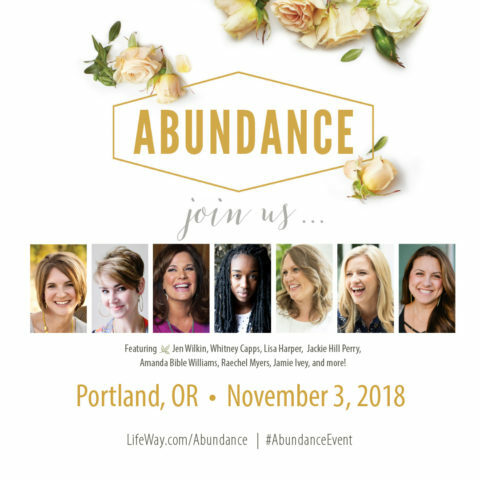 That and nothing less consumed me while at the conference for Pray Oregon. The first “What if” came as we were introduced to Jim, Kurt, Reid, Kathy, & Miriam from the Central Oregon Prayer Team in Redmond, Oregon. 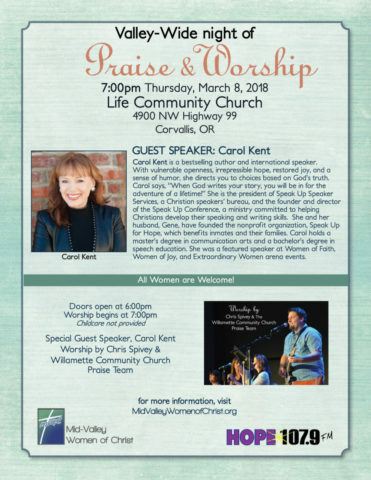 “What if” our usual form of worship…, praying…, the singing of hymns, singing of prayers from the scriptures, and a myriad of other songs to prepare our hearts for worship have missed a scriptural element of “His worship and His warship”? 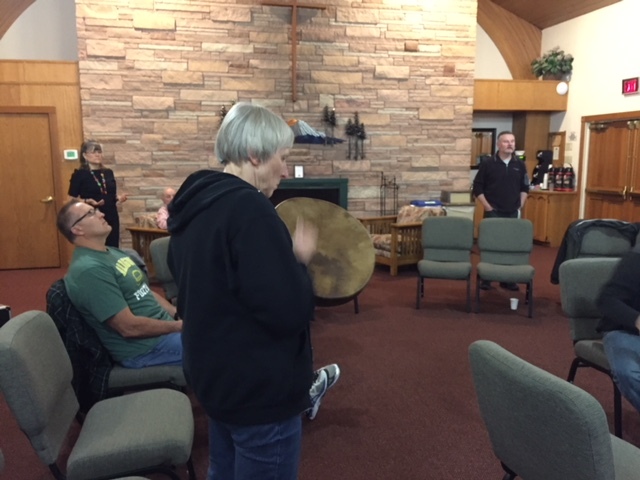 They added to their intercessory prayer sessions the use of musical instruments, rhythm, and the vibrations they created to send out into the atmosphere their praise and prayers to God as a way of breaking the darkness in our lands. They introduced that the Native American Indian used drums, as well as flutes, and string instruments (which were all once generally considered evil because the Indians were using them) to talk with God “the Creator” (They knew God, just not His Son)! 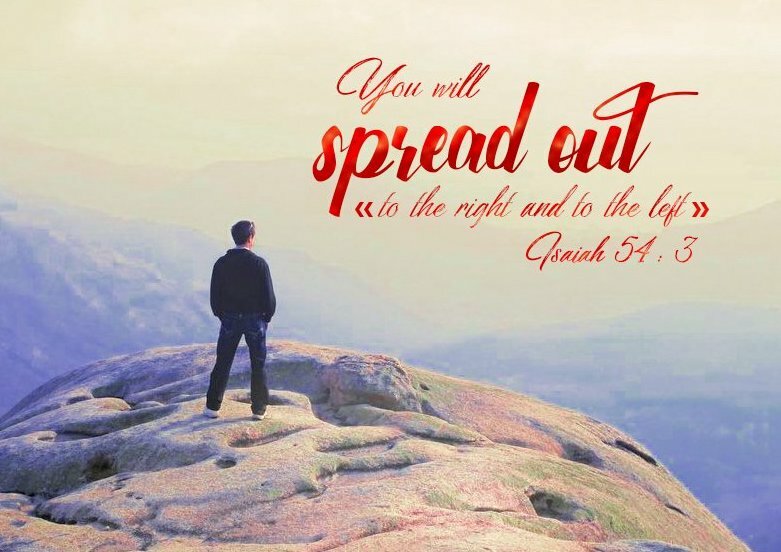 They opened with the scriptural background of Joshua 6 where God directed Joshua and his army to be faithfully obedient to His directions to walk around the city of Jericho for 7 days and thereafter using many trumpets (shofar) and their shouting voices, to receive a promise from God and bring Jericho down. The Song of Solomon says…break forth with your sounds so others may feast on His bride. In Psalms it says to make joyful noises/praises to our King with rhythm from our drums. They recalled that David used a harp to remove Saul’s’ evil spirits also that David would play instruments to search his heart. How do you keep the devil away?By combining intercession and worship to destroy the darkness. What an eye/spirit opening reminder of things mentioned in scriptures that we may have gone past while formatting our contemporary services…assemblies…church! In another session, Pastor Greg Simas from the Convergence House of Prayer in Fremont, CA , introduced that we have raised up churches that are pastoral where one speaks & teaches from the word of God to many who listen. These pastoral churches measure their success through attendance and the number of attendees. He goes on to say that when one looks at Jesus and His Apostles, one sees an Apostolic Model, where one will measure their success through “influence”. He introduced the idea that our churches are creating “consumers instead of conquerors”. 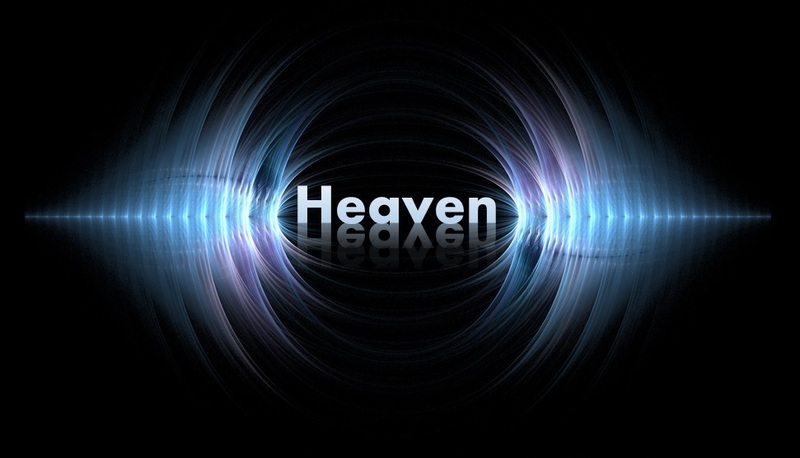 Pastor Greg reminded us that Jesus took the disciples to the gates of Hades to bring a new kingdom to populate heaven. Jesus says He will build His “Ekklesia”, His legislative Assembly. Greg went on to say that Jesus’ perfect example of “Ekklesia” on Earth (mentioned in Isaiah 9:6) was to bring a government wherever you go…”Jesus carried a government on His shoulders”. One that was loyal to God through His Son. Prayer and Worship and Apostolic becomes the new breath or spirit. These are some observations to consider as we all move toward influencing others for Christ and His government! We are told in Isaiah 9:6 that the great gift God has given to us is a child. And then more descriptively—a Son. And not just any child, but His very own son. The next thing that we are told is that this Child leads to a government. We don’t typically associate a child with government. But that’s the kind of gift God has given us. Jesus said if anyone comes into the kingdom you must become a child. There is something about the simplicity of love, and allowing it to govern our hearts, thoughts, words, and actions that is at very epicenter of what the government of God is all about. This year let us ponder the greatest gift of all God has given to us, and seek to express the greatness of that gift to others. Let us remember that it is not how grandiose the gift is that really matters, but that we simply give the pure childlike gift of our love to one another. The giving of your time. A kind word spoken, a simple acknowledgement of the value of that person to you. A note telling them how much you really do love them. Or maybe even a just color crayon drawing. Let us take the time to go beyond the external things that we might exchange, and give something that comes from the heart. For that is the thing that will be remembered and valued the most. And that is the thing that truly matter to them in the end.